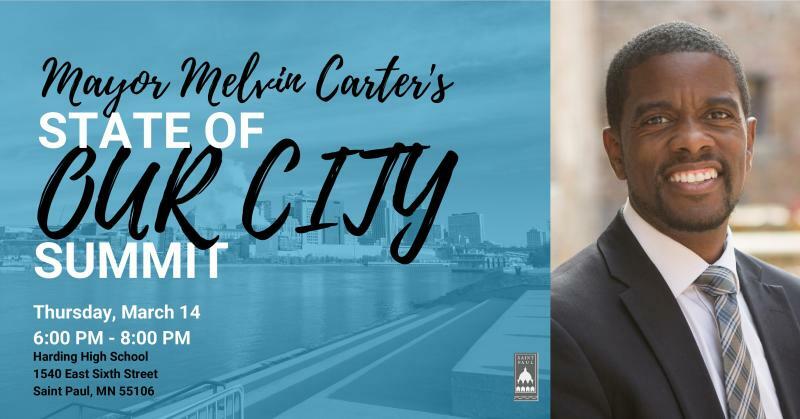 Please join Mayor Melvin Carter as he presents the 2019 State of Our City Summit. The event is free, kid-friendly and open to the public. Please register in advance to help us accommodate all attendees. RSVP online here or call our office at 651-266-8510. Let your friends know you're going by sharing about the Summit on Facebook here. Help us spread the word by using #ImagineOurCity. Do you need interpretation services?